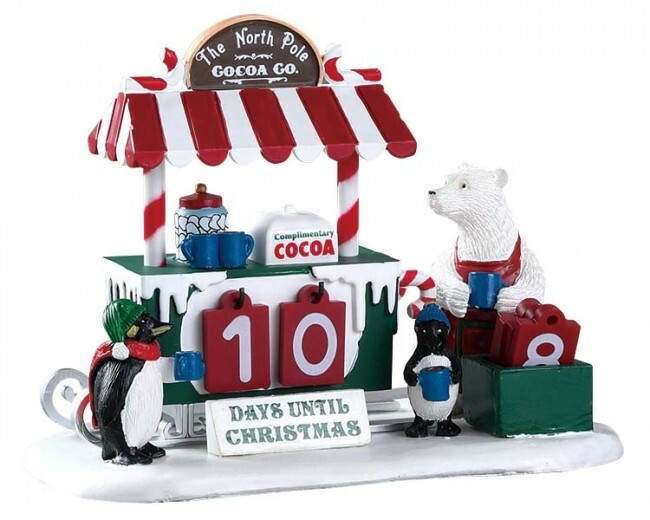 Lemax Cocoa While We Are Waiting Table Accent depicts a North Pole Co. sleigh themed cocoa counter displaying a countdown to the big day. 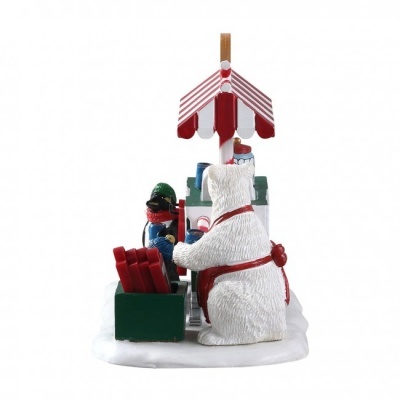 A wonderful Lemax table piece suited for placement in a Lemax seasonal Christmas miniatures display. 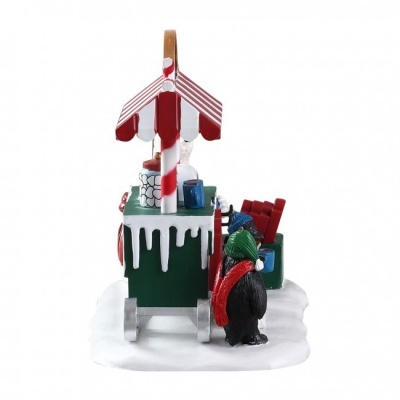 Another popular addition to the Lemax Village catalogue, joining the Santa's Wonderland collection in 2018. 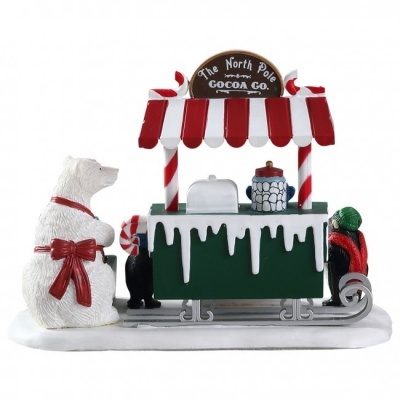 Cocoa While We Are Waiting comprises multi figurines and cocoa counter mounted on a single snowed base to compliment your seasonal Lemax Village display.